Alexander Nevsky was only 19 when he proved his military genius by defeating invaders from Sweden at the Bettle of Neva in 1240. A heroic figure who led Russian troops against wave after wave of invaders, he remains popular in Russia to this day, twice topping polls of the most popular figures from Russian history. While his deeds sound like the stuff of legend—and he achieved sainthood in 1547—he was a real general whose thrilling victories would challenge any fictional hero for drama. 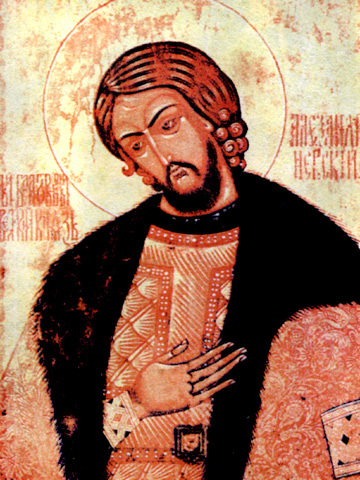 Born on May 30th, 1220 to the Prince of Vladimir, Alexander was fourth in line and had little chance of inheriting the throne. At the age of 16 he was sent to the city of Novgorod to lead their defense against invaders from Germany, Sweden and the even present Mongols. 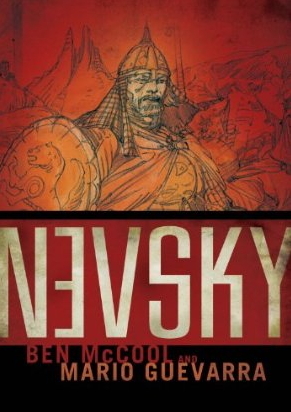 Following his victory at the river Neva, he was given the surname “Nevsky.” However, his growing power made the boyars (the ruling princes) jealous of him and Nevsky was exiled. When the crusading Livonian Knights, a branch of the Teutonic Knights sent from the Holy Roman Empire to spread their brand of religion, invaded Pskov, the boyars realized Nevsky was the only man to lead the defense. In 1241 he defeated the heavily armed and mounted knights on the frozen Lake Peipus, using superior tactics and an army of highly motivated foot soldiers. The victory cemented Nevsky’s place as a leader of medieval Russia, and one of the founding fathers of the united country to come. He became Grand Prince, essentially ruler of all Russia, in 1252. Nevsky’s later years showed he was a diplomat as well as a warrior, however, negotiating treaties with Norway and the Mongols to ensure peaceful borders— a move that was only partially successful, as he had to ride out to defeat the Swedes once more in 1256. With the Mongols, he took a more diplomatic tack, paying a tribute and cementing friendly relations to keep the fearsome hordes from wreaking devastation. 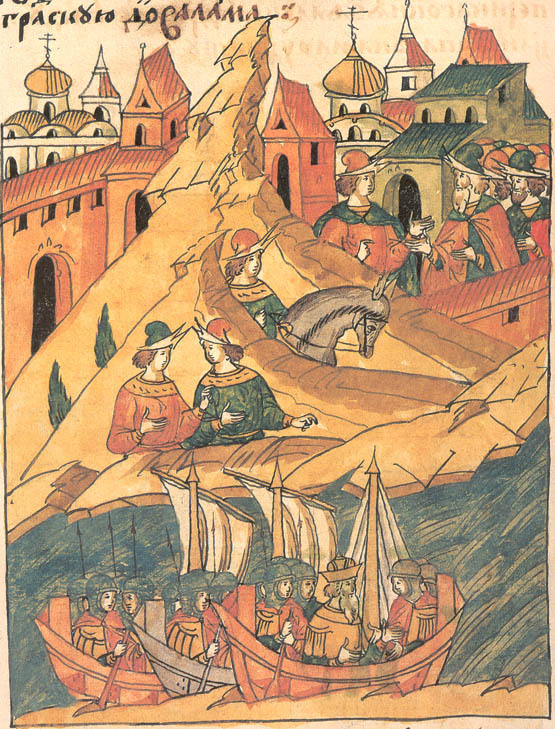 Nevsky died in 1263 on the way back from a trip to visit the head of the Mongol empire. He began to be worshiped as a saint soon after his death; his relics are presently in St. Petersburg. The empress Catherine I introduced the Imperial Order of St. Alexander Nevsky as one of the highest decorations in 1725; the Order of Alexander Nevsky was revived by the Soviets in World War II, as a symbol of the struggle with Germany. As a leader and politician, Nevsky was one of the most important figures in the medieval history of Eastern Europe, and he remains a beloved figure in Russia to this day. His name lives on worldwide through both Sergei Eisenstein’s classic film, and Sergei Prokofiev’s memorable cantata – and soon a graphic novel.